A decade ago, a mobile phone was merely a device that you used to communicate with others which offered voice and text options. But the recent past has seen a rapid pace when it comes to the evolution of the mobile phone to a smartphone while users always anticipate something new continuously. The transformation has been huge – from being a simple communication device to an almost portable personal computer. We see powerful mobile phones with large capacity RAM and multi core processors as well as unbelievable hardware upgrades with a smart move expected with every single device that is introduced. So, what do we expect in 2015? According to various tech geeks, the new year will be even more competitive. The big question is will they target their everyday users and offer you an affordable price or will they target a more superior reign by being luxurious? Lets find out. There have been not much to surmise while according to speculation, techies state that the ‘assumedly’ named iPhone 7 would sport an A9 chipset, 256GB internal storage which is insane for a phone, a 16 or 20 MP camera, an HD or 2K display and most importantly a stronger frame obviously due to the Bendgate Issue. The debut of the next Apple device is expected later next year, probably around September while users can anticipate leaks and updates in the months to come. News has been leaked about the next flagship smartphone from one of the big shots in the industry. The supposed Galaxy S6 will boast of a 5.5 inch display with a Quad HD panel. In can either be a Qualcomm Snapdragon 810 chipset or a Exynos 7420 chipset. 32GB of storage will be incorporated while 3GB of RAM would be supplied for the chipset. The device will also include a 20MP rear camera and a 5MP front camera while an Android 5.0 Lollipop will be running them all. According to the latest news, ardent samsung followers can expect the Galaxy S6 to be unveiled at the Mobile World Congress which is scheduled to be held in Barcelona between the months of February and March 2015. 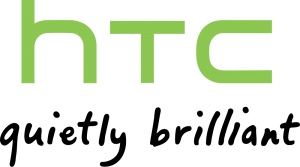 The current HTC bestseller the M8, will see a huge upgrade in both interior and exterior to bring you the supposed M9 smartphone which is currently code named ‘Hima’. This is set to display a 20MP camera with 3GB of RAM and a Snapdragon 810 chipset while sources also report that ‘Hima’ might have a new family member known as the ‘Ultra’. Hopefully, with what HTC has offered in the past, we hope that this dual unveiling would be a surprise to all tech geeks out there. Sony has been concentrating on providing the highest quality to its smartphone users while the main focus has been on excellent display, powerful hardware, a convenient yet stylish user interface, superior quality camera and also a chassis that is waterproof and dustproof. According to the latest leaks from the company, the next Sony smartphone which is supposedly the Xperia Z4 will display a 2K, 5.4 inch display, a Qualcomm Snapdragon 810 chipset, a 20MP camera and a Adreno 430 GPU with 4GB of RAM. Lets keep our fingers crossed. If you keep tabs constantly about smartphones, you will know that Microsoft completed the acquisition of Nokia which was liquidated. Microsoft has gained its smartphone space while the technology is the same as Nokia. For a while, they have been planning the release of the device with a very powerful camera which would sport a massive 50 Mega Pixels. The Lumia range of smartphones are known for its camera quality and most techies await the launch of this device. The Lumia 1030 may be unveiled at the Mobile World Congress in 2015 while it is also rumoured to include a 2K display and a Snapdragon 810 chipset. 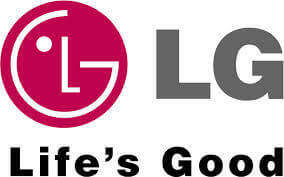 The latest smartphone from LG which is rumoured to be launched in early 2015 would be the G Pro 3 or G4. According to reports from this tech giant, the smartphone is set to run on a homemade chipset which would indeed be fabulous. If reports are true, the pairing of the the operating system and the hardware would be smoother than ever before. Boasting of a variety of new features, you can also expect this LG flagship at the Mobile World Congress in Barcelona early next year. This can be the comeback that BlackBerry was hoping for to gain its market momentum. The company is hoping to launch the next flagship with a retractable keyboard with its signature look and will also be the main element of the device. 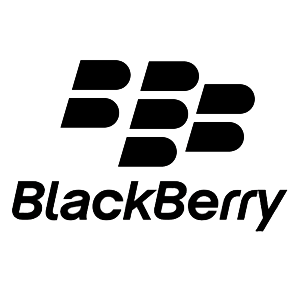 The BlackBerry Visa will sport a rectangular display while the keyboard will slide below the display towards the bottom end of the smartphone. The device is rumoured to consist of a Snapdragon 801 chipset, a 1440 pixel resolution and a 5.5 inch display. The reports have not been confirmed yet regarding the specifications. Lets hope for the best. The first generation Motorola Moto G was launched in late 2013 while the 2014 Moto G has also managed to impress users focusing on a price-to-feature ratio which some contenders fail to adhere. Therefore, the Moto G 2015 edition will hopefully consist of the latest Snapdragon chipset while reports also state that the company is focusing on a great display, high quality camera and a good battery life. These were only handful of devices that are expected in the year 2015 from some of the giants of the industry. There are many more that we have not mentioned and are expected to create waves such as the Amazon Kindle Fire 2015 Edition, OnePlus Two, the Xiaomi Mi 4 etc. Do you have a phone in mind that we have missed? Share your opinions with us.